So it’s now three weeks since I’ve been back from my pilgrimage / epic prayer walk around the country, and I’m still somewhere fragmented, somewhere in between. Out on the road but also living back in London at the same time. I’m writing the journey up in more detail for a Housing Justice publication, hopefully ready in time for Advent, but here are some reflections on the themes I’m working on. It is tough on the road! This is obviously a function of how one lives everyday life but the journey was a tough challenge, both physically and emotionally. While the tasks each day were fairly straightforward they were physically demanding and I do think of myself as quite fit: cycling to work each day, walking regularly, having a reasonably good diet, staying active. But walking 12 miles a day (on average) with a heavy back pack was hard work for this 56 year old! Being on a tight budget and finding food and water and a safe place to sleep each night was also not always easy. This is in no sense a complaint. I entered into this pilgrimage fully expecting and accepting the hardships. It was the point, after all, to walk and live – to an extent at least – in solidarity with people suffering poverty and homelessness. Being on my own much of the time, particularly in July, also presented challenges. This was a motivation to pray more, which was good. But I did sometimes feel acutely alone and on the margins – particularly in busy places with large groups of friends or families. Again, I had anticipated this, but the reality of being 2 months away from my wife, family and friends, work colleagues and the comforts of home was sometimes challenging. God IS an ever present help – see Psalm 46! 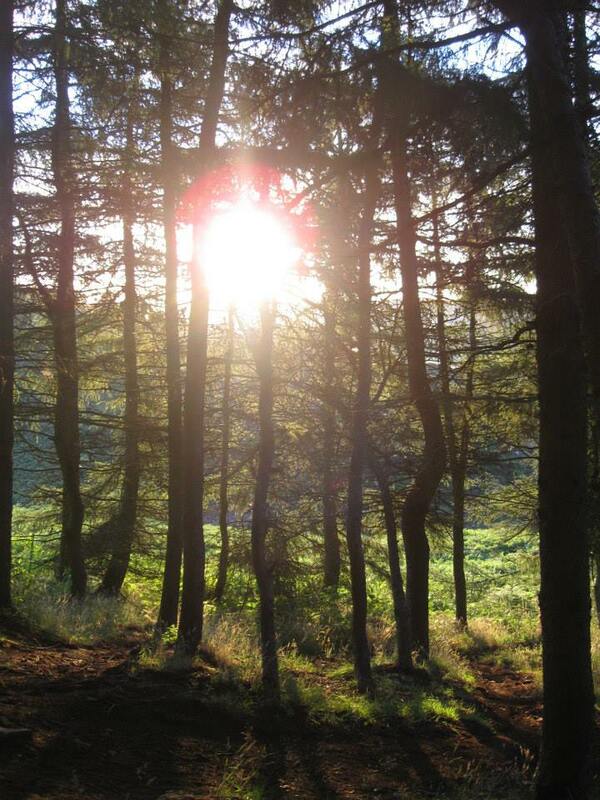 While in human terms I often felt on my own, I also felt the presence of God each day. Yes I know this directly contrasts with what I’ve just said in the previous section, so go ahead and shoot me! Life is paradox! I found myself waking and walking and praying with joy, thankfulness and anticipation each day, knowing that God was present, and that I could rely on His promises to protect and provide for my needs. I think this is what is meant by faith. I genuinely approached each day as a gift. In each encounter, each conversation, each step of the way God was present and so it was blessed. The hitch hiking element of the journey is the perfect metaphor. The task was really about letting go. To trust that, in spite of my powerlessness in the situation, and that I had almost nothing to offer, somehow someone would stop for me. And they did! Each time somebody stopped for me it felt like an answer to prayer, particularly the first time, on the way from Oxford to Chippenham. The first person who stopped for me, after I’d been standing with my thumb out for less than three minutes, had spotted the pilgrim’s scallop shell on my pack. As I got into the car he told me that his mother in law was the Oxford Diocesan Pilgrimage Advisor! 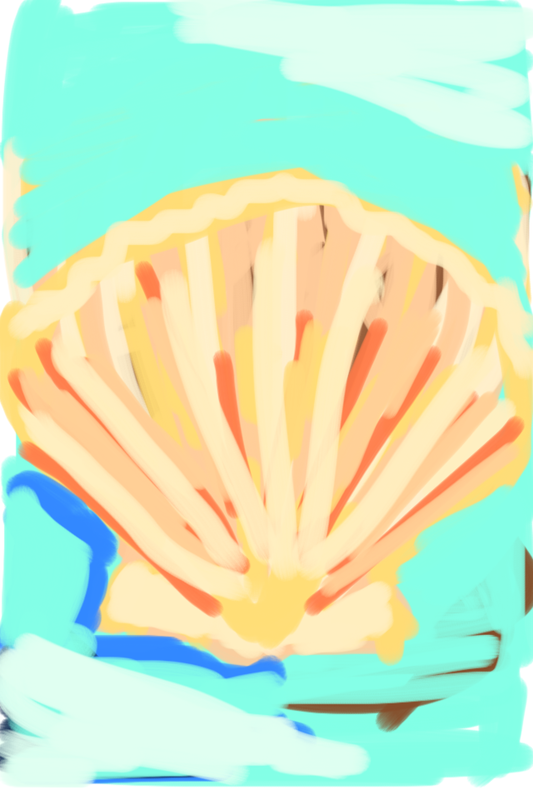 Jeremy, who I met on the way to Iona, sketched this lovely scallop shell for me on his I-pad! As I write and explore further the stories and experiences of this journey I know I will discover more of its meaning myself. It is not all planned out in detail. One theme that has emerged through conversations with people along the way, and since I’ve been back, and to an extent in this blog, is my own story, which I’ve somehow never been very good at articulating. Having opened up a little about my own family, and how we have been affected by mental illness and depression, I’ve had some very kind and supportive responses from many people that know me in the context of my work. I’m not totally comfortable with the idea of writing as therapy, and feel I should reassure everyone that this is not going to be in the sensationalist or breast beating end of the literary or tabloid journalism spectrum! But you probably knew that already. I’m holding on to some of that sense of the heart breaking beauty which is often seemingly just outside the scope of our vision in everyday life. The idea of the “thin place” or the liminal, in between places, which I am very drawn to. This is a more precarious and uncomfortable place which I believe God calls us towards. It is also more truly where we find ourselves in inter-dependence, and therefore pushed in solidarity towards one other and with those who live in poverty. That we are all, in some sense, “aliens and strangers” in this world seems obvious to me. We cannot truly be “at home” in this world because we have an eternal home. By the way I can’t even begin to understand the view held by some Christians that this gives human kind licence to allow this beautiful planet on which we live to be despoiled. Exactly the opposite actually.